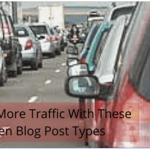 Blog traffic is one of the major problems many bloggers face in their blogging journey. In fact, the truth in the online world is that traffic is essential to any online business; ultimately it is traffic that brings in people that buy. In this post, I will be sharing about 5 ways you can significantly increase your website traffic. I just began to realize the power of blog commenting. Blog commenting is a powerful way to get traffic to your website especially if done wisely and on a large scale. One major thing about blog commenting is that it also helps you build a great brand when people begin to see your comments on others page. Not only that in the long run it also helps you to develop a good relationship with well-known bloggers. It is very important to make use of avatars when you post comments on others pages. Especially when you try to get Traffic From StumbleUpon to your blog through blog commenting. Our avatar pictures show our real identity to the readers and that will help people take note of you when they begin to see your comments along with your real face. If your real face is not showing along with your comments, there are every chance to get that comment into the spam folder or most of the time when the blog owner approve the comments if your face is not showing along it may count as spam comment and ultimately that land in the spam folder. So make sure your real identity is revealed when you post comments. Here is a simple tutorial in which the Guest Author Chery Schmidt shows us how to include an avatar picture along with your comments. Adding Your Picture To WordPress Blog Comments. Being the first person to comment also helps you to get the good attention of the visitors. Generally, people likely to visit the websites of few of the first commenters and they rarely visit the rest. When commenting to get traffic, quality is better than quantity because a lot of bloggers will delete your comment if you write generic comments and readers tend to click on valuable comments more than any other comments because they believe someone with this type of great comment will also have something similar on his blog. 7 of the top ten referrers in my analytics data are from my guest posts and all of them sent me over 150 unique visitors. Guest posting is really effective and the power of a guest post should never be underestimated. One thing I have come to notice with guest posts is that people prefer quality over quantity; if your guest post is a great one then you will get more visitors from it than just writing anything. Many people tend to write just any guest post because they believe since the blog is not theirs then their best post should be on their blog, this is not supposed to be because of several reasons. One major advantage of submitting quality guest posts is that it helps you build a relationship with the blogger and his readers but if you just write anything there is a probability of the blogger declining your post, and if he doesn’t his readers will not visit your blog. The better your guest post, the better your result. This is one underutilized Blog traffic generation strategy many bloggers don’t use, many bloggers tend to give excuses that they are busy, If you are busy then you might want to be submitting your guest posts to blogging communities every weekend. Blog Engage and StumpleUpon are few of the blog communities I am involved in. These two networks have sent me hundreds of visitors over time. One major thing to consider when trying to get the best from blogging communities is that you have to have high-quality posts and you also have to build the relationship because people tend to vote up people they know and if you have a high-quality post people will be more inclined to visit your blog. There was a time I signed up to the warrior forums and with only 50 posts I had already gotten over 70 visitors to my blog, I didn’t post a link to my blog in my posts, it was in the signature. 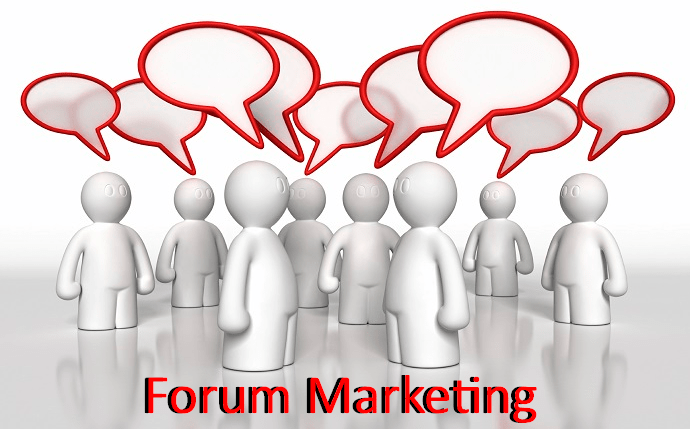 You can get great results from forum marketing if it is done properly, one great thing to consider when trying to market your blog through forums is that it is very important to try as much as possible to help others and not just spam people for your benefit. If your aim is to go to forums to go and spam then within a short period of time you will be banned but if you focus on helping as many people as possible the end result will be you will have a good and long lasting stand in the forum. Having more friends and building a stronger relationship with fellow members will increase Blog traffic and authority. Some great forums to get started with are the Warrior Forum and Digitalpoint Forum. I wouldn’t have put this on this list but it is also a very effective way to getting traffic to your blog. I was checking my overall stats today and I discovered that my mailing list has sent me hundreds of visitors, this is a good number because I only sent my posts to them a few times. One of the major benefits of a Bulk Email list is the instant result it provides, people tend to respond faster because they are closer to their email than any other thing. I have also observed emails I sent and I discovered that your titles matter, I have had sent emails have as low as 15% open rate and I have also had emails have over 35% open rate but what matters most is the title. If you have a cool and attractive title then you will get more results than having generic titles. Getting traffic to blogs used to be a difficult task and I started noticing a difference over time. 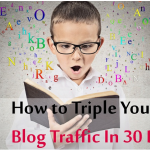 It is the tips in this post that is helping me get thousands of visitors to my 3 months old blog every week, use them to your advantage and you will be amazed at how they work. It is also important to know that getting Blog traffic takes time and requires constant effort, if you are dedicated to making the effective use of the above tips then in no time you will be getting a lot of Boost blog traffic on autopilot. I would like to hear from Philipscom readers the other ways you are using to get traffic to your pages. Please share your tips if any in the comment box, that will be much appreciated. Thanks, Philips Sir for the opportunity given me to speak to your audience via this Guest post. I believe your readers will appreciate my effort. Thanks for the kind words you did write and I appreciate your valuable time reading this post. I am so glad that you liked it. Muhammad Tabish recently posted…[Solution] Why Stop Blaming Akismet For Marking Right Comment As Spam Mistakenly? Thanks a lot for your quick response to this guest post. Hey! At the beginning of this year you just posted an amazing article that would helpful for all bloggers.Thanks for sharing such an excellent ways to improve blog traffic. Useful article. Keep on Updating. This is really an informative post to the new entrance in blogging field. The tips shared here are worth following. Indeed this is a nice content i read in the recent past. Thank you so much for such nice words and sharing this article with your fellow. 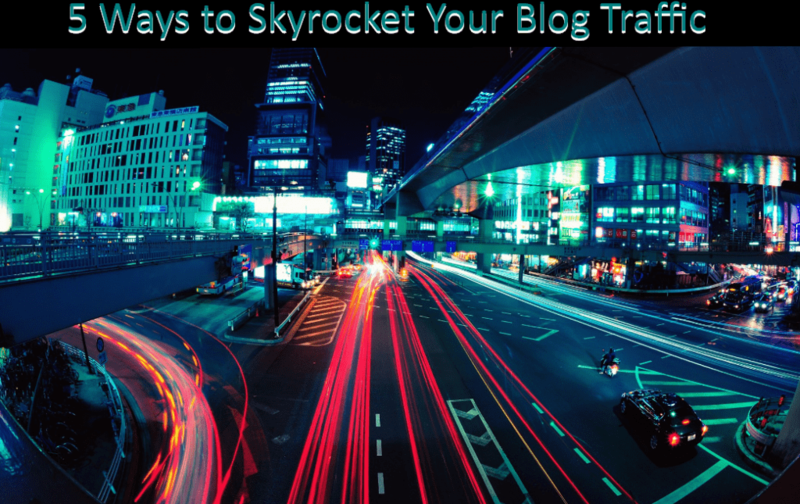 Hello Philip, So nice to meet Muhammad here today with these amazing tips on how to sky rocket your blog traffic. Loved them all. And I was surprised to see my b=name and post mentioned.. How cool is that? You deserve to be mention here… And, Thank you so much mam, to like this little contribution. What a joy to see you on my page after a bit gap. I appreciate you for finding some time to drop in, in this busy season. It’s my first quick visit to your wonderful web site. 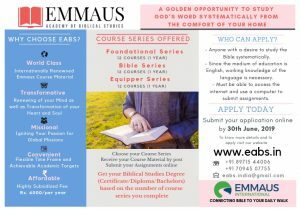 The contents posted on these amazing website is really worth praiseworthy. I appreciate your hardwork in putting the posts in order. It is indeed well written and projected it well too. in paragraph is actually well designed and presented. Thanks Muhammad for your guest article on Philip’s Page. Whoa! Such kind of lovely feedback from you. Thanks buddy… Keep showing us what should be more and low. I just like to say that the blog post crafted nicely and I appreciate your effort. I don’t need to say what you say is 100% correct as your skills in SEO are better than me..
Just got a chance to read your amazing post after reaching this page via your FB post. Your post is fantastic! Every beginner should read your post to obtain the tips which they can use to get their initial visits. Thanks Tabish for the awesome post. Just loved it. Thanks a lot man for such lovely sentences! Yes, you are completely right about sharing a post on my Facebook profile. Indeed, Forum Marketing is an incredible technique to get extra success in the blogging and marketing but due to lack of manner of knowledge newbies practice it in a wrong way which results in a sad ban! Thanks a lot for the maiden visit on our page and for the wonderful feedback. Hello. 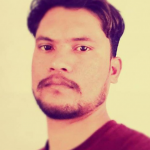 Thank you for this really valuable post with tips Muhammad Tabish. I am a newbie in blogging and this can give me more traffic. 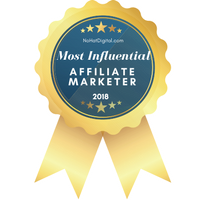 I just would like to speak Thanks from my heart for your kind feedback and as well as I also would like highly recommend you to stick to few methods first as you new to get traffic. In Addition to this I also tell you that you should focus 60% on all methods other than SEO because they are easy and time saving……. I totally agree about using StumbleUpon. I once added my resources page there and got 1500 views the next day. You told a very interesting and as well as funny thing here that if the blogger using shared hosting there is high chance of getting server crashed due to a massive amount of blog traffic from massive in one day from StumbleUpon. We’ve had great results from StumbleUpon in the past, but your post has reminded me that we need to give it some more love! These kinds of feedback keep me motivate to share as much content I can with my blog (BlogRankSEO) and by my Blogging expert fellow’s blog like Philip Verghese… He is such an electric blogger here. Some people have so much success with their content marketing strategies that they have hundreds of thousands of readers. Great content is a big part of the equation but the other, often overlooked area of content marketing is content promotion. Commenting on other relevant blogs is a great way to build relationships with top bloggers within your niche. We can get some referral traffic from social media, guest blogging and blog commenting. But if we want some good referral traffic, we should join blogging communities. 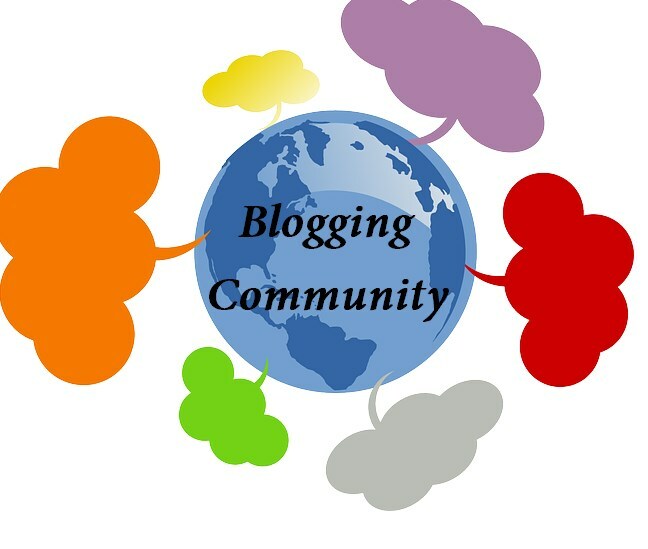 Blogging Communities helps us to promote our blog without much effort. Where we can meet and interact with other bloggers, engage and drive a good amount of traffic to our blogs. Since blogging community members are real bloggers, we can share our thoughts and ideas with them. Blogging communities not only helps you to drive traffic to blog, it’ll also help us to make new connections with other bloggers. Eventually, thanks for sharing your wonderful thought with us. Without no doubt, you are completely right! Social Media has an incredible impact on blog ranking. All the traffic methods that you mentioned work really great, but you actually have to implement it, to get any kind of results. I Personally use Blog Commenting,Guest posting and Blog Communities to drive more traffic. Thanks Saurabh for your kind visit and share. Yes, blog commenting is a good strategy to get more interaction with people that leads to get more traffic as well as comments and engagement. I appreciate your insight you shared in to this subject. Have a good time of blogging ahead. I really love your blog traffic tips. I found this article will be very helpful for a blogger like me. The content you displayed in this section are aligned in a neat and ordered manner; this is indeed praiseworthy and it shows your hard work. I always like your style of presenting the content. I will mostly work on blog commenting, guest posting and blog communities to drive traffic to my website and along with that, I will give chief importance to domain authority and page authority before commenting on it. Thanks for this wonderful post. Great and valuable tips are shared here for the bloggers who struggle for traffic. Thank you so much for your kind words about the article. Yes, I am in agreement with you regarding domain authority. Blogging communities and guest posting is really awesome way to skyrocket our blog traffic. Hey , these write-up is really an informative one. Thanks for sharing it in details. Now a days getting traffic to blog is what everyone want but only few of them follow right approach. 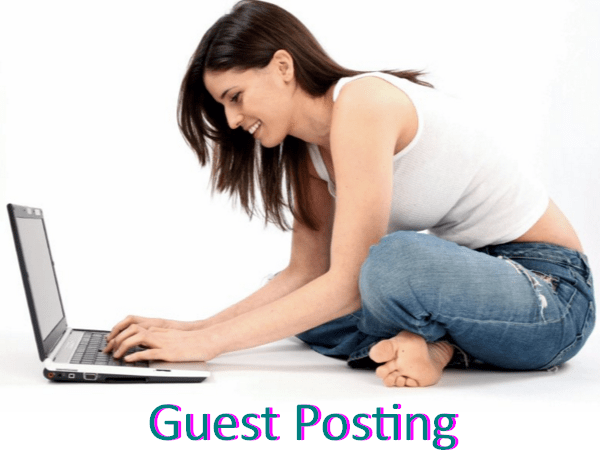 Guest posting is one of the best way to drive traffic to your blog. Once you start getting traffic then it’s very important to have them for long term by collecting their email id so that when you publish new content you send them alert about new post. I agree with you in all these facts. I personally focus on blog commenting and guest posting a lot. Blog commenting is easy as well as provide us a great knowledge as we are reading people’s posts. Guest posting gives us a link back so, its always fruitful. All the methods that you have shared with us for getting more blog traffic are very handy. Most of the bloggers use it on daily basis to upsurge their blog traffic easily and effectively. One can also use Quora for getting spectacular results. This blog helps me a lot in my blogging career .. you taught me many hidden traffic tricks and many other ways to improve myself in this field. No the methods that you shared here will help me to boost my traffic rate..
Also, the mailing list is a good way to attract traffic. Earlier, I was using pop over subscriber form only. But now, I have also started using embedded subscriber form to let people subscribe to my blog after reading article too. It has helped me getting many new subscribers. Thanks for sharing this article. Keep up the good work! Looking forward to reading more article from you. Great article! I believe that the communities and Email lists play a very pivotal role in generating huge amount of traffic. When you have a great community or circle of bloggers then you can effectively skyrocket your blog traffic with referrals. Indeed, those are very important. Communities can play an important role in this aspect. 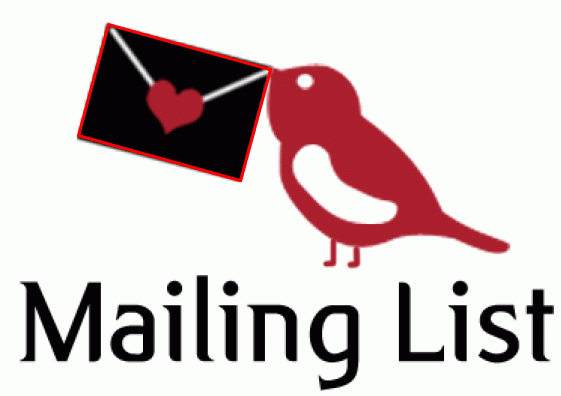 And of course, email list too is very important. And that is what majority of bloggers first select email list method to get more conversions. I know about most of these strategies but blog commenting is a new information to me. Now I think it’s more powerful than others as we need lesser amount of time to comment. At the same time, we will get more knowledge from reading the posts. I appreciate your knowledge and way of writing. Keep it up. So its clear that these are 5 excellent way to skyrocket a blog – no one explains the ACTUAL difficulty to do it. For example, I have an expectation of 10 high quality link backs DA 30-40 / PA: 60-70. So obviously comment spamming is out since 99% have no follows – reaching out to the blogger – he has no real incentive to work with you because “what is it in for him?” – he knows that you are doing nothing more than working for a link. 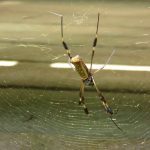 Other than creating a dummy-site.wordpress.com and have hundreds of articles spinned with a link to their site – is 10 links from a high quality DA realistic per month? I work 40 hours per MONTH to achieve 10 link backs. Honestly, You have written very informative blog and it is very important to use the standard of language according to your targeted audience. I really appreciate your effort that you have shared such essential tips with us sir. Hi, this is really an informative post. So far blog commenting has helped me to engage with a community of bloggers and help understand how things work. The added advantage is that since you visit most of the blogs and started reading articles they have published, it helps in increasing the knowledge and realize what works and what doesn’t. Thanks Muhammad for sharing such excellent website traffic improvement tips. Useful article. Keep going. Happy to see you hear again. These are indeed best tips to boost our traffic. I do follow all this tricks, except guest posting. need to try that too. I am new in blogging I am really happy to read this article because it gives very helpful tips for me in blogging. The step by step guidance is really understandable. thanks for sharing the blogging how to open&given the instructions for blogging .Its VALUABLE INFORMATION. keep blogging .. keep sharing. I’m really happy to read this article because it’s very helpful for me. 5 Tips or ways you projected in this post is really worth notable and I am sure this will help each one to skyrocket their blog traffic. Thanks for the wonderful post filled with very useful information.